When you visit Arrow’s Café and BBQ you are treating your taste buds to an explosion of flavor. We are proud to serve Southern barbecue so tender and juicy it creates happy memories in your mouth. Arrow’s Café and BBQ is a local establishment that is proud to serve the Heber Springs, AR community with home style cooking, barbecue, and catering services. Our restaurant is well known for Southern BBQ that sends taste buds into a tantalizing frenzy. 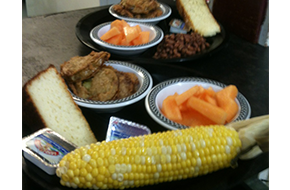 People come from miles around to enjoy our barbecue and home style dinner selection. We have developed a special kinship with our customers in Heber Springs. Our customers are more than patrons; they are our friends. We have forged an award-winning reputation for quality food and service at our small café in Heber Springs, AR. However, we are not in the business to earn rewards and accolades. We are tickled to the bone by simply enjoying the smiles on our customers' faces as they savor one of our home style meals. We take a lot of pride in the food we prepare for our customers. We use the finest ingredients and the best cuts of meat. Our focus is on quality food and exceptional service at an affordable price. 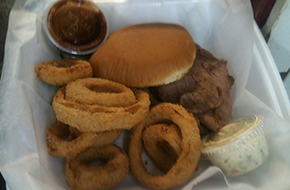 People keep coming back to Arrow’s Café and BBQ because we treat them right. We create an atmosphere that makes dining a memorable experience. Whether we are rustling up barbecue cuisine or a home style breakfast or dinner, our staff pays strict attention to every minute detail. We provide a menu that is designed to satisfy hunger. Arrow’s Café and BBQ is more than just a café and caterer to the people of Heber Springs, AR. Our customers stop in to enjoy a tasty meal and to share their lives. We welcome everyone and make them feel right at home. 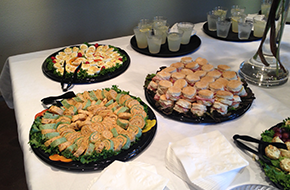 Our catering staff will take our great food on the road to provide outstanding cuisine for any special event. Contact us today for outstanding food and service that cannot be beat.